Expos are a great forum for sharing information in person. Pictured at left are examples of some displays I had a hand in. 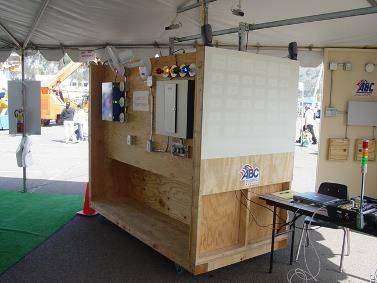 The images from the San Diego Construction Expo depict a compilation of projects the students built as a part of the apprenticeship class. Opportunities like this allow students to freely create and push the limits of design, showcasing the capabilities of technology while teaching the essential basics. I fully enjoy giving presentations for that reason; watching as students and customers grasp a concept and then demonstrate it in a new way is very satisfying to me. The most rewarding part of any class is observing the figurative light bulb turn on, and then seeing the student use that knowledge to literally turn on the lights.